Mexican Noce is a travertine quarried near Torreon, Mexico. 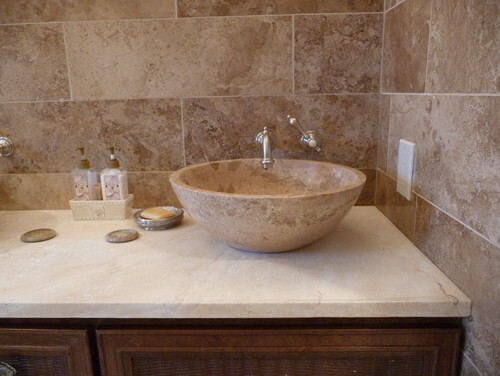 This stone is also just called Noce travertine. There are two common ways to cut travertine. "Vein Cut" and "Cross Cut". Both are the same stone, they just cut the block differently. With Vein Cut stone they cut against the bedding so the plane is revealed. This gives the stone the amazing linear pattern. Cross Cut (also called Fleuri Cut) is cut along the bedding plane. This cut reveals a "flowery", sometimes circular pattern. 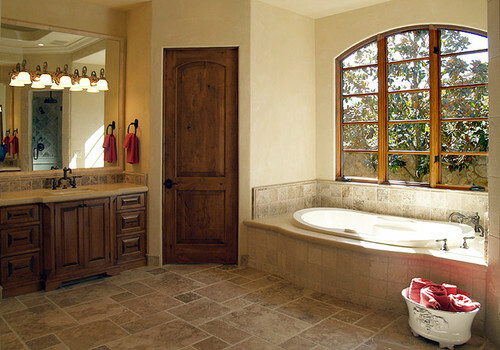 Most travertines on the market, especially in tile, are Cross Cut. Mexican Noce comes in Vein Cut and Cross Cut slabs, but all vendors don't carry both. You'll probably have to search a little to find the different cuts if you prefer one over the other. The photo below is a slab that is Vein Cut. The close up photo above is Cross Cut. Mexican Noce is a sedimentary stone. It is formed in hot springs which is composed of calcite calcium carbonate. The cavities in travertine are created when the carbon dioxide bubbles were trapped as the stone was being formed. The travertine is filled with a colored cement three days before the honing process, allowing time for the cement to dry. During the summer months when it's dry, the cement will cure faster, and in the more humid parts of the year, the cement will dry much slower. This variation in curing can alter the overall tone of the fill. You will generally find Mexican Noce slabs with a Honed finish. Some suppliers do carry it in a Polished finish which looks really great as well. 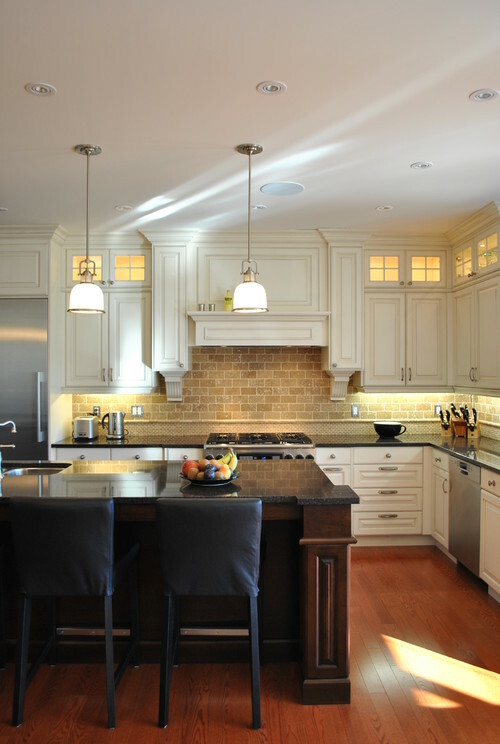 Mexican Noce is a really popular choice of stone for backsplashes because it's a pretty neutral color and it isn't too busy. 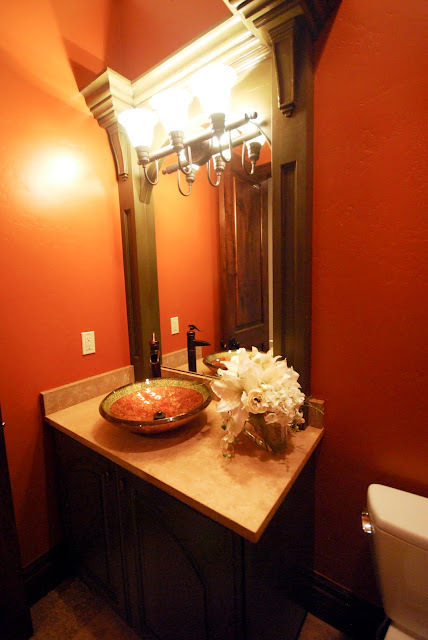 The tiles come in a variety of sizes and finishes. The kitchen below has a subway tile in Mexican Noce. Mexican Noce is available in 2 cm and 3 cm slabs as well as tile.